Cosmetics  the practical way to BEAUTY! 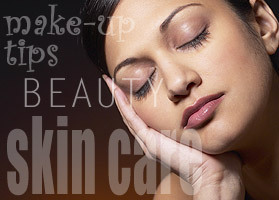 Lost-Glamour.com provides you the latest beauty tips, beauty secrets, proper skin care, make-up tips and so much more! A beauty salon visit can be time consuming. To get the most from your visit and still have time left in your day, try these time-trimming tips.